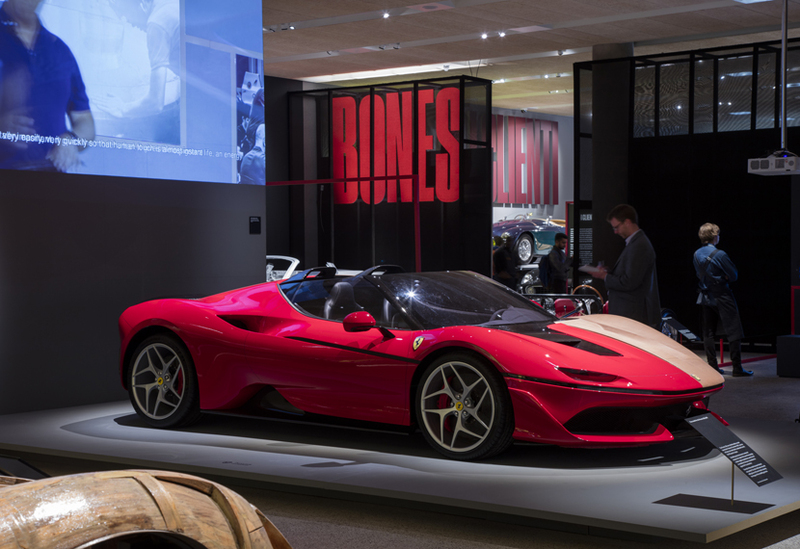 This high-spec exhibition showcased an astounding £140 million worth of cars and exhibits. 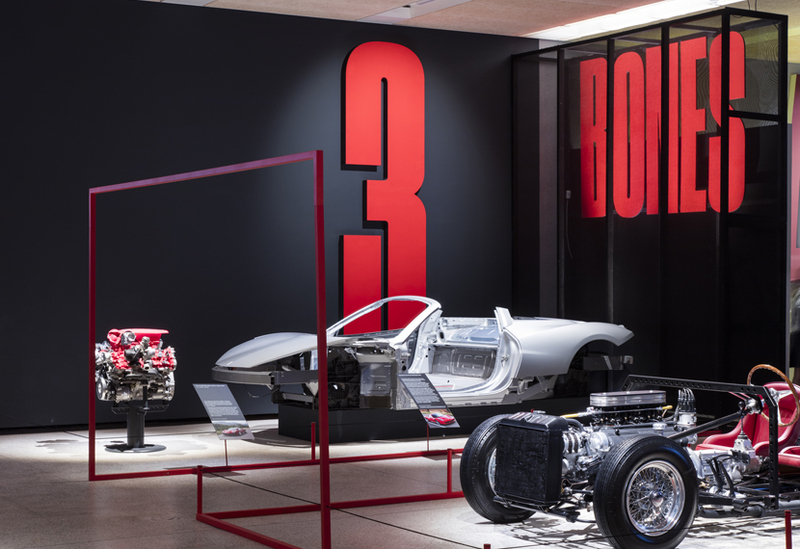 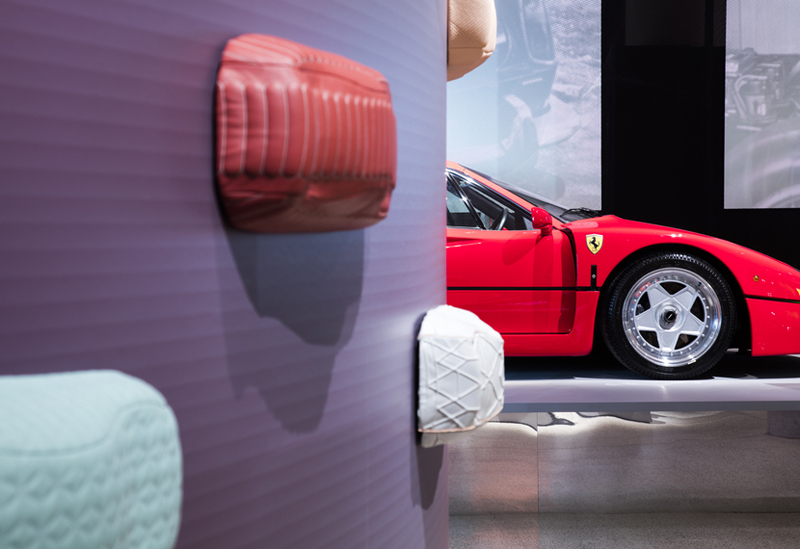 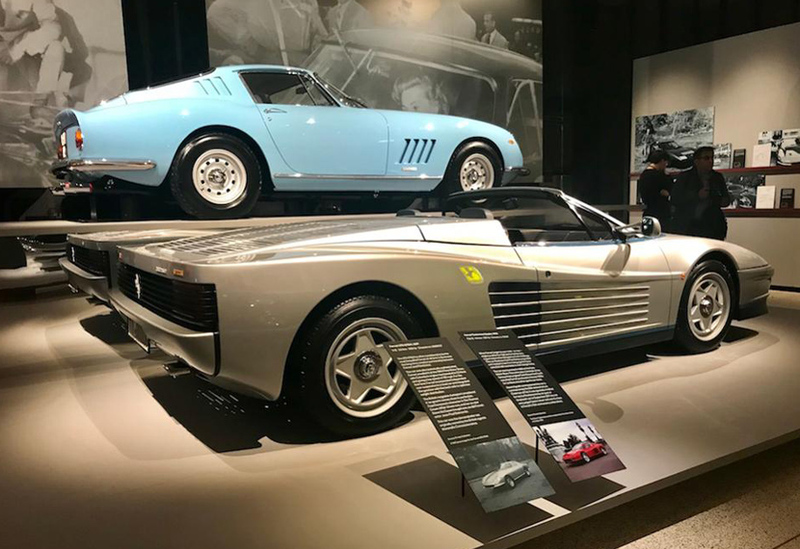 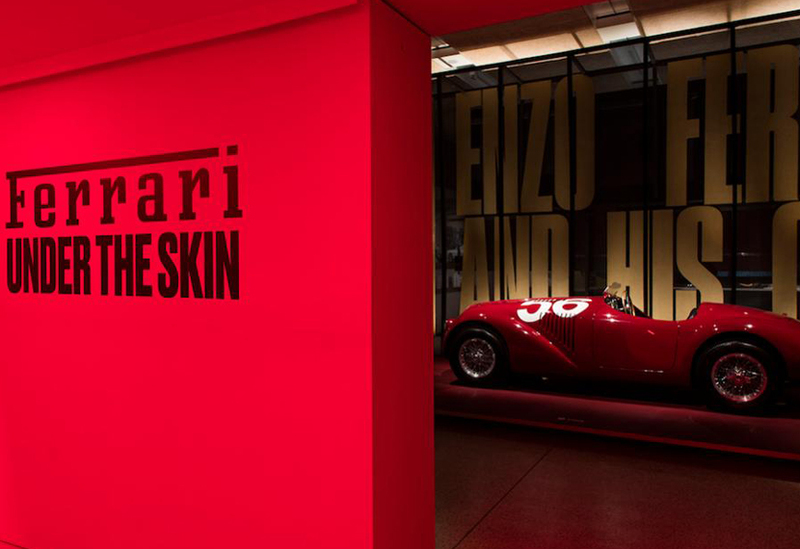 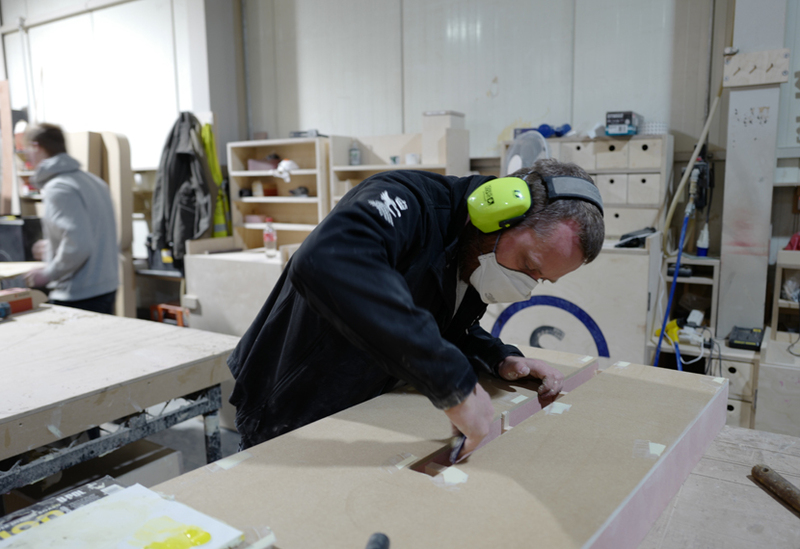 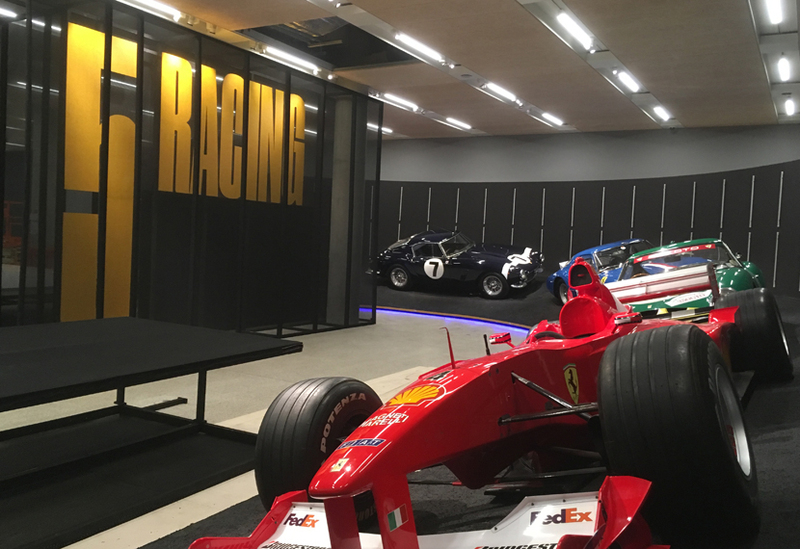 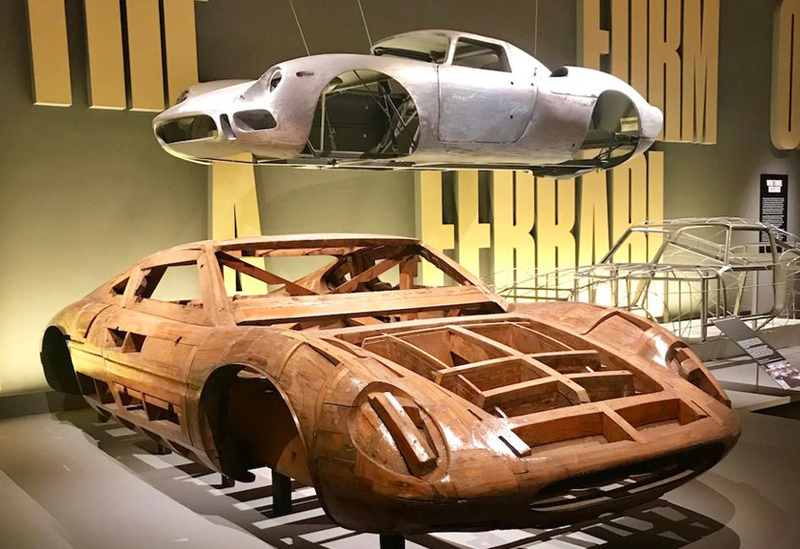 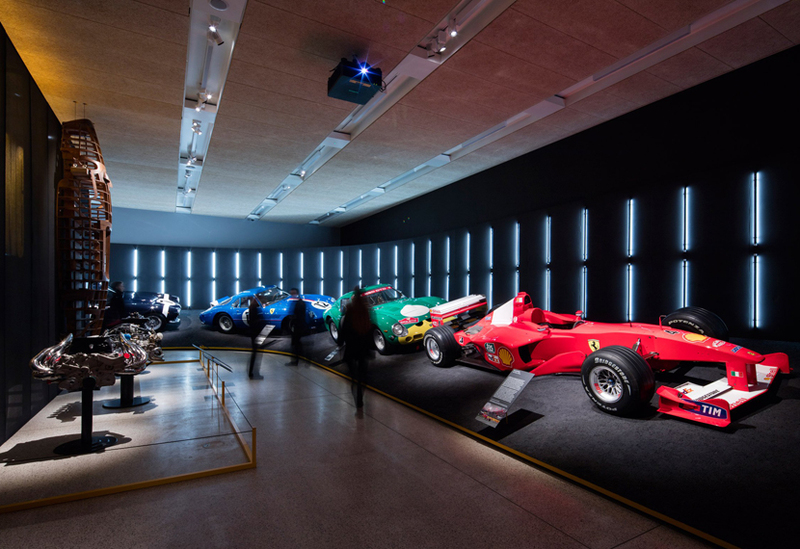 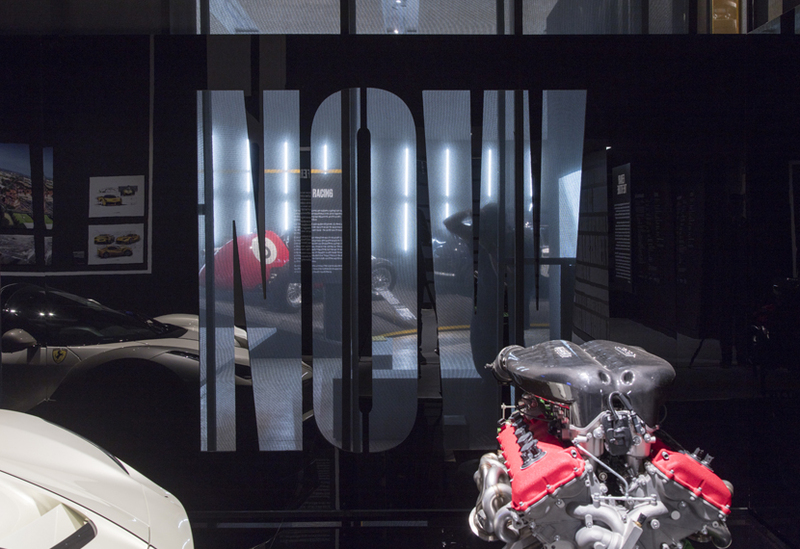 Having pre-prepared the gallery space, our crew worked with immaculate attention to detail to create a series of sleek, high quality environments reflecting the history and innovation of the Ferrari brand. 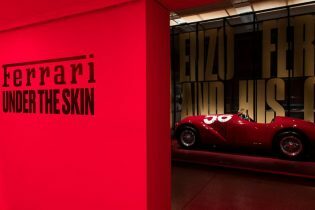 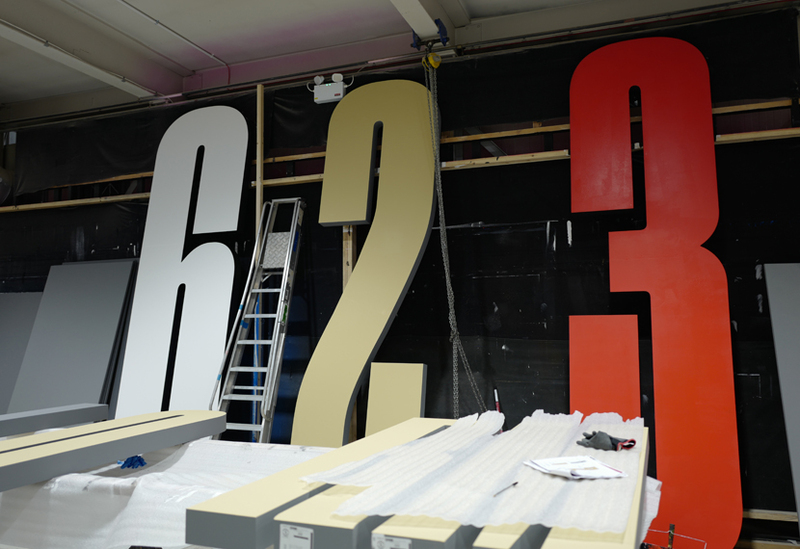 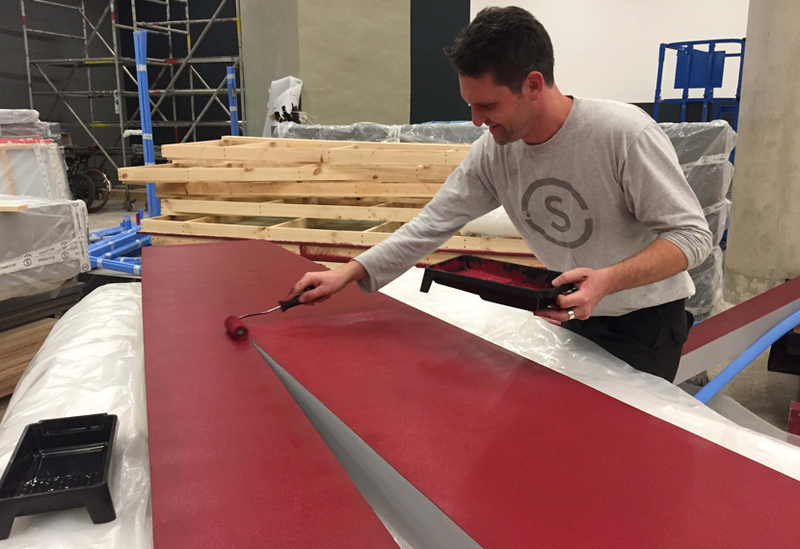 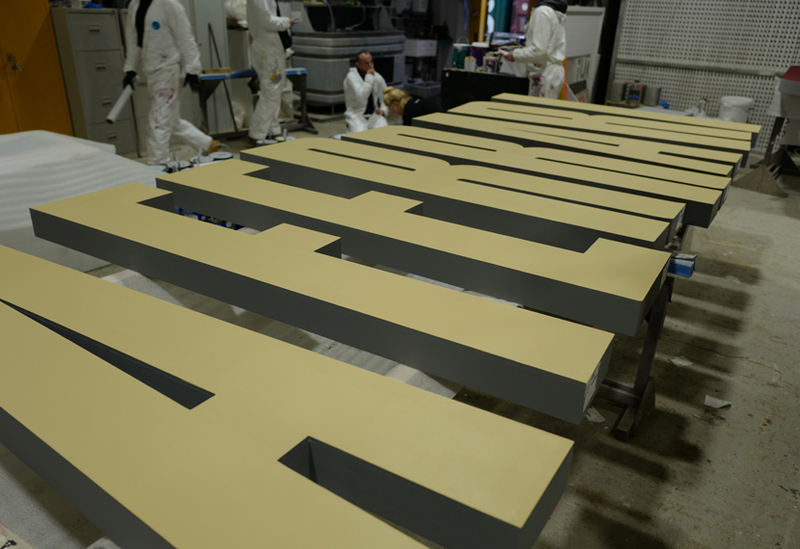 The exhibition was divided into six zones: Enzo, Form, Bones, Clienti, Racing and Future; each notated by supergraphics ranging from 2m to 4m high. Gauze walls allowed glimpses through the space, while a single continuous graphic line ran throughout the exhibition: coloured vinyl on floor and walls, painted metal frames around the exhibits. 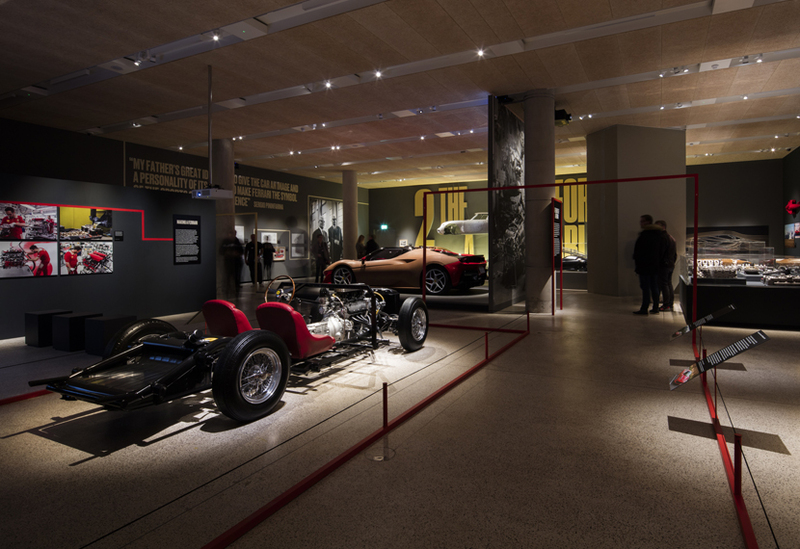 Artefacts were accommodated in bespoke museum grade display cabinets, on floating plinths or even carefully suspended from the ceiling. 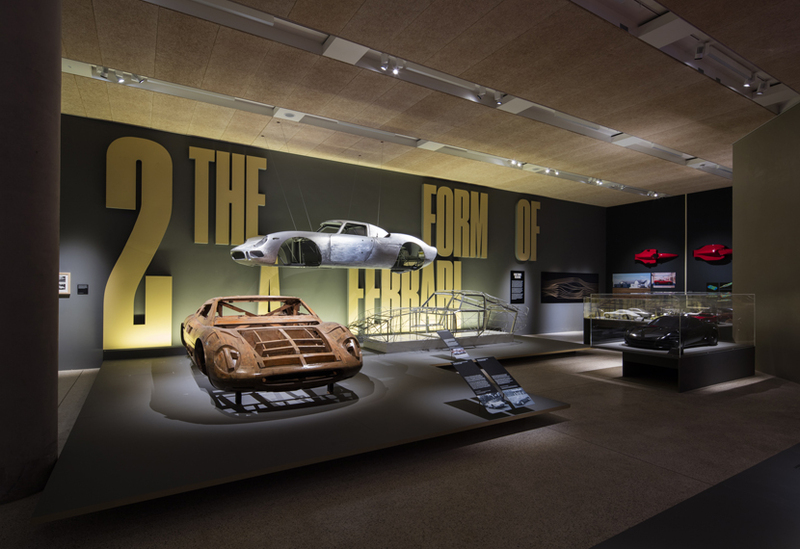 With such unique, valuable and large exhibits on display, the on-site construction schedule was sequenced around the delivery of the cars. 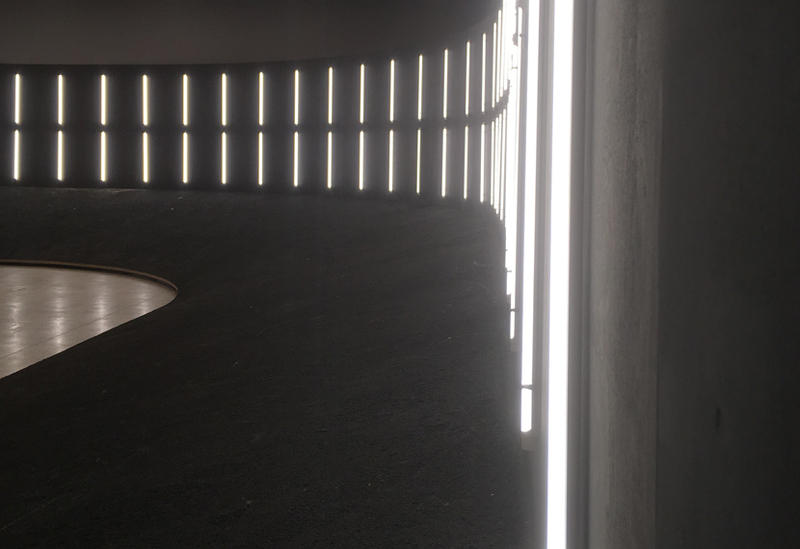 The banked and curved ‘Racing’ area was built first, the long scenic track lit with vertical LED tubes.